What do you love about Rehoboth? 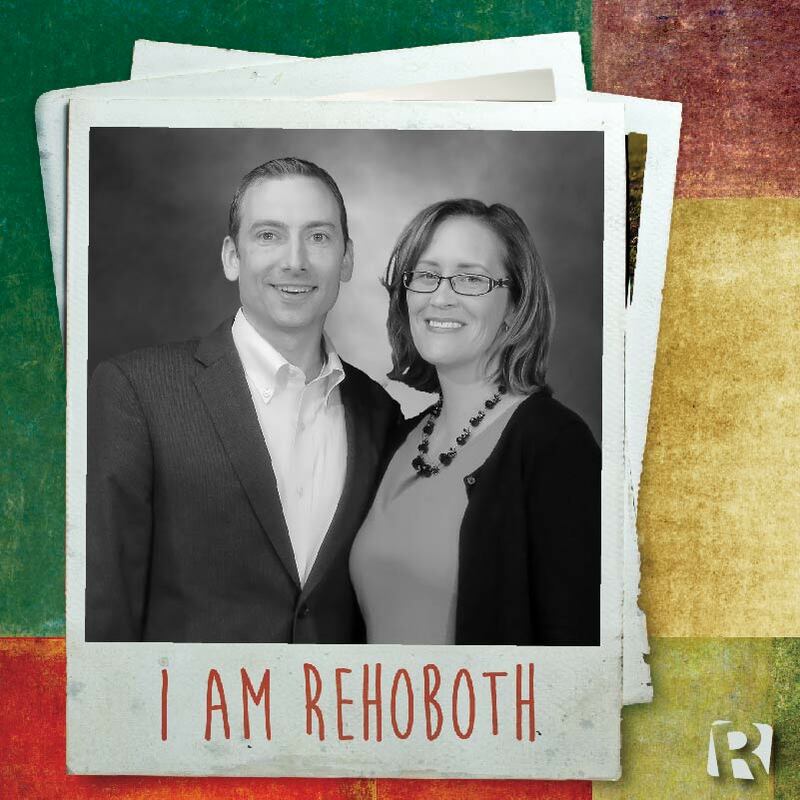 Sally: When we first attended Rehoboth, we could tell that something was different here. There was a sense of peace and calm. But at the same time, you could feel the Spirit moving. It was unlike anywhere else we had visited. My favorite thing about Rehoboth is the friendliness and sincerity of the people who attend here and a Pastor and staff who are dedicated, personable and motivating. Since being here at Rehoboth, Harry and I have really hit our stride in our faith and spiritual life. Harry: Every week that I attend, I learn something new and I am challenged to grow in my spiritual walk. Harry Schroeder was born in Atlanta and grew up in Stone Mountain. He attended Providence Christian Academy and graduated from Oglethorpe University in 2001. He works as an implementations project manager for Intelliteach in downtown Atlanta. Sally Schroeder was born in Goldsboro, NC and grew up across the country. Her family lived in Indiana, Kansas, and West Virginia before settling in Hickory, NC. She attended Hickory High School and graduated from Lenoir-Rhyne University in Hickory. She taught Spanish for 18 years, but recently began a career as a real estate agent and licensed assistant. Harry’s first experience with Rehoboth was in the 1980s when he played in the church baseball leagues. He really liked coming to Rehoboth on team appreciation days because he could wear his team jersey to the church services! Sally’s first experience with Rehoboth was after she and Harry moved here in March of 2012. They searched for a church home for a year and a half before Harry suggested visiting Rehoboth because he had enjoyed playing in the baseball leagues here as a little boy.